Picking the right pair of headphones for yourself is never an easy task. There’s so many factors to take into consideration - from price, to fit, to sound quality - that makes the massive market of headphone brands and models difficult to sort through. When it comes to stores that sell headphones, you want a store with variety and expertise: the kind of store not just looking to push products out the door, but really find a pair of headphones that you’ll love for your unique lifestyle and needs. That alone is one of the major aspects that sets InMotion apart from other stores that sell headphones, but that’s not all. At InMotion, we tailor our every move to you and your tech accessory needs. From the products we carry to the associates we have working in our stores, we look to deliver you the most valuable shopping experience possible. As a testament to this commitment, we’ve compiled a quick list of some of the headphones we carry that are designed for your specific needs. It’s this dedication that sets us apart from other stores that sell headphones and keep our customers coming back again and again. Don’t like earbuds or having your ears covered? No problem. For many people looking to purchase headphones, comfort is the number one priority -- and for some people, this means not having the headphones touch your ears at all. That’s the exact approach Aftershokz took when designing the Aftershokz Trekz Air Bone Conduction Headphones. Uniquely designed with light and organically designed titanium bone conduction technology that delivers music through your cheekbones, users who are uncomfortable with music through direct ear contact now have the perfect set of headphones. 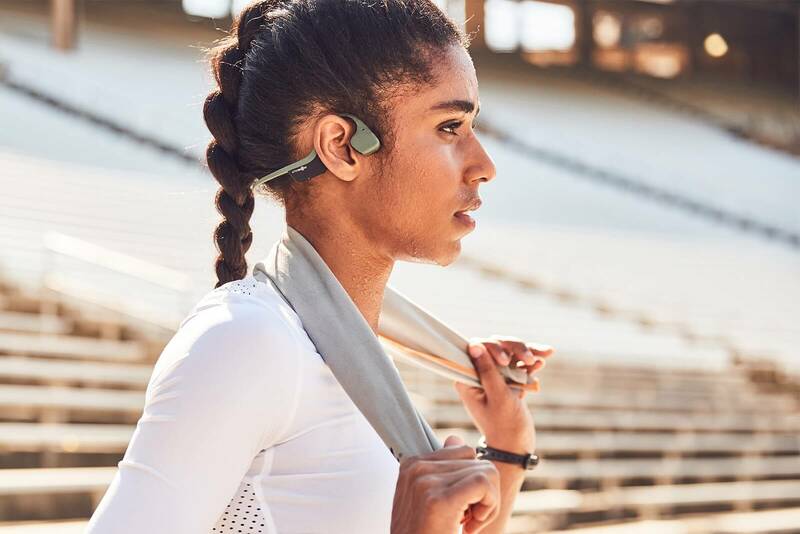 The Aftershokz Trekz Air Bone Conduction Headphones are designed with a flexible, comfortable fit and an OpenFit™ design for subtle all-day wear. Even with this open ear design, listeners don’t sacrifice stellar sound quality thanks to PremiumPitch+™ technology that ensures a the dynamic range and deep bass we know and love from Aftershokz. These spectacular headphones are just one simple solution we carry and work with customers over to find their perfect headphones. Looking for headphones design by music lovers like you? Look no further. Skullcandy says it best themselves: ‘noise canceling for those of us who don’t wear pleated khakis.’ Headphones not designed by engineers in lab coats, but by t-shirt wearing music lovers like you. Bringing a little bit of edge and a whole lot of realness to the noise canceling headphone game is the Skullcandy Venue Active Noise Canceling Wireless Headphones. InMotion is proud to carry these sleek, stylish headphones because we know that we love brands that feel right - brands that feel like us - and that’s exactly what Skullcandy looks to deliver to music lovers everywhere. 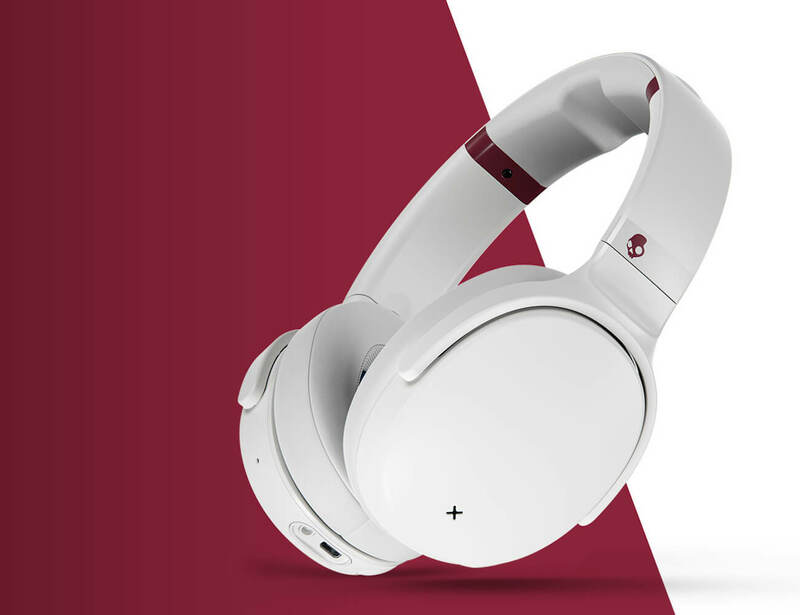 Some of the best features of the Skullcandy Venue Active Noise Canceling Wireless Headphones include an incredible 24 hours of battery life on a single charge, built in Tile locating technology, and active noise canceling technology. In addition to stunning sound, the Skullcandy Venue Active Noise Canceling Wireless Headphones have a unique, adjustable fit and super soft ear cushions for maximum comfort. All this with the signature, crisp finish of Skullcandy headphones makes these the perfect headphones for the rest of us. Need headphones versatile enough for your busy life? We got you. Headphones that don’t feel like a one trick pony aren’t easy to find -- and you deserve headphones that are as versatile as you are. That’s why for people on the go, we carry headphones like the Bose QuietComfort 20 Noise Cancelling Headphones that are as dynamic as you are. Designed with some of the most advanced noise canceling technology on the market, the Bose QC20 Noise Cancelling Headphones are designed with focus and sound integrity in mind. This advanced noise cancellation comes, in part, from StayHear™ tips that not only provide a secure fit, but a gentle seal that blocks outside sound. These comfortable cone-shaped tips combined with Bose’s acoustic noise canceling technology leaves you with nothing but the music you love. But like we mentioned - you don’t want a one trick pony; you want headphones that can do it all. That’s why the Bose QuietComfort 20 Noise Cancelling Headphones have Aware Mode, allowing you to turn off your noise canceling when running or walking on a city street for maximum safety without sacrificing sound quality. This secondary mode allows versatility and the same Active EQ and TriPort® technology sound you love in the noise canceling mode. 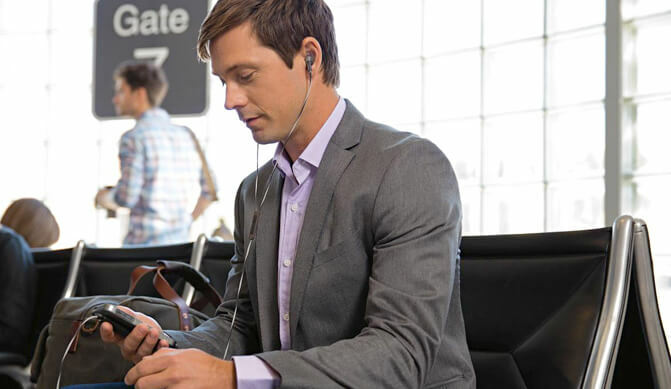 Now, with the Bose QC20 Noise Cancelling Headphones, you’ll have the exact pair of headphones you need at all times. With the products, expertise, and convenience to deliver you the perfect pair of headphones for your needs, InMotion sets themselves apart from other stores that sell headphones. Don’t believe us? Next time you’re travelling, stop in to one of our InMotion locations for a free demo of any of our headphones, expert headphone buying advice, or even just to test us on our knowledge -- we’re sure you’ll be impressed.